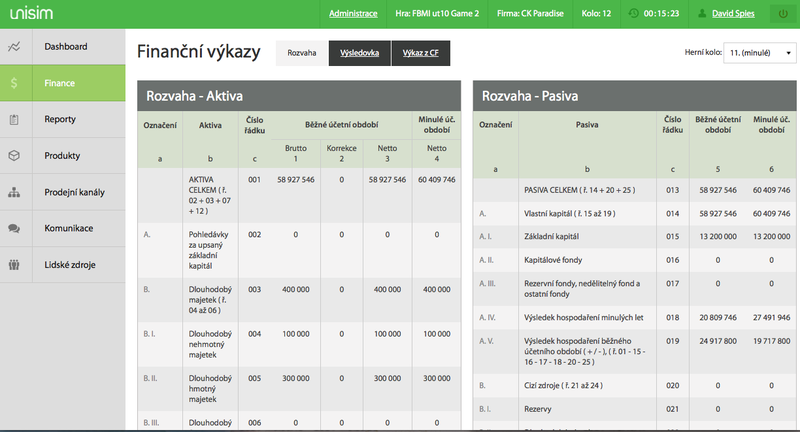 Unisim is a managerial simulation for high schools, higher educational institutions, and universities. Simulation game Unisim is an efficient tool for managerial education as it covers all the main business functions - trade, marketing including product development and communication, finances and accounting, human resources management as well as reporting. Unisim gives students an opportunity to practise the application of theoretical knowledge to gain a better understanding of the subject. It also develops their strategic thinking and analytical abilities. Unisim develops managerial abilities in many ways. In Unisim business simulation game Unisim the players have to deal with analysis of a virtual market focused either on tourism or on sale of electrical devices. As soon as students get to know the market and choose their own target audience, they have to create products, set the business channels, deal with marketing communication of products and the company and manage the human resources. Unisim has been designed so as to record all the actions into well-arranged reports and enter them into accounts. The players are responsible for their financial sources by the means of bank loans or increase in capital. Unisim managerial game is a very complex simulation and as such offers many different settings which influence the economic results of the virtual companies. How to integrate Unisim into school education? Unisim managerial simulation can be included in following subjects: Business economics, Management, Marketing, Finances and accounting, Economics. In this case it is possible to make use of the fact that Unisim simulation game employs the knowledge of several individual subjects together, so the students can easily understand the relations between them. E.g. an optional subject Managerial Leadership can be created to accommodate Unisim managerial simulation. In one day students can experience managing a company on a given market and get to know how the theoretical concepts are used in practice. The workshop can be lead by experienced tutors from CIS, which is a very easy yet efficient way to innovate lectures. We will give you details and offer you a specific price. Simple design and intuitive controls of Unisim. What kind of schools is Unisim suitable for? Unisim business simulation is suitable for students from universities, colleges, high schools of all kinds, e.g. business academies, economic lyceums, vocational schools etc. Thanks to Unisim students have an opportunity to experience managing a company without entering the investments, to see the progress of the company throughout the years, and to gain managerial abilities. Unisim simulation game includes all important commercial functions and relations between them. 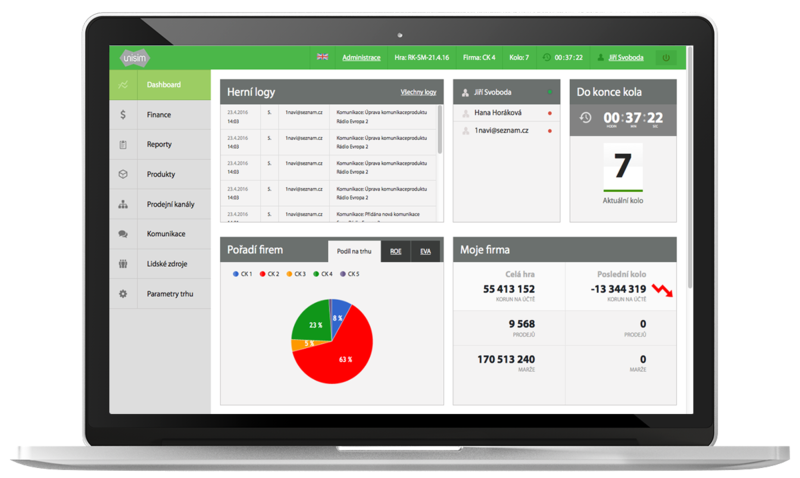 It perfectly simulates a real company even up to the accounting operations and statements. 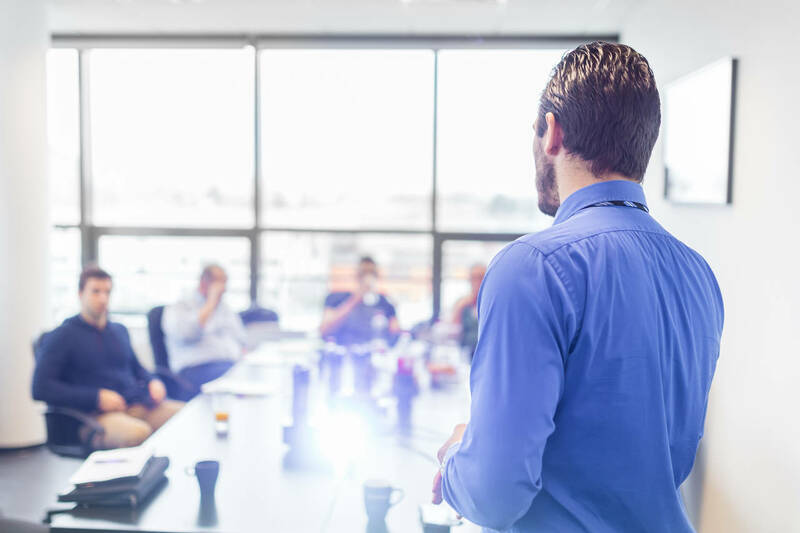 It is, therefore, an ideal addition to the lectures from business economics, management, marketingu, finances, or accounting and it also helps to understand the connection between the individual company functions. Thanks to new educational methods and modern means. By using Unisim simulation game the school will be perceived as an innovative institution. The happier and more successful students are the better references that raise interest in the schools. 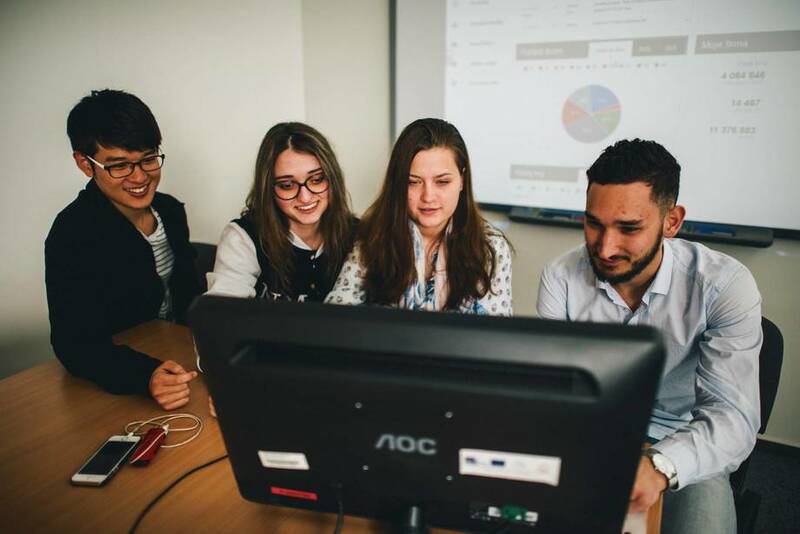 Virtual business simulation game enables students to grasp all the aspects of managing a company from business economics, management, and marketing to financial management and accounting. Unisim gives students a chance to apply theoretical knowledge to their virtual companies and to watch their progress in relation to the competition. This business simulation helps students gain a better understanding of the theory. Unisim supports strategic thinking of students and encourages their creative approach. Each student who successfully finishes Unisim business simulation will get a Certificate of completion of the course which can improve their CV. Only an Internet connection is required for using the Unisim simulation. Unisim simulation game operates on all common operating systems and the design adjusts to the size of a screen. Unisim can be played via a computer, a tablet, or a mobile phone which is connected to the Internet. No additional installation is required. Everything takes place on our servers. 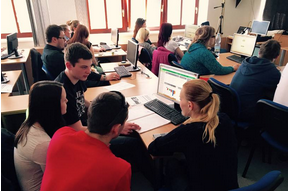 "How to use simulation games in lectures"
Our company Centrum Informacni Spolecnosti, s.r.o. has an accreditation for holding educational programs accredited for purposes of Act no. 563/2004 Coll. A course for teachers accredited by Ministry of Education focuses on teaching how to correctly and efficiently use simulation games in lectures. Unisim business simulation is, therefore, not only ideal for students, but it is also a part of Ministry of Education's accredited course for further education of the educational staff. Accreditation is valid until 20th May 2020.
and improve your CV. Contact us. Interested in integrating Unisim simulation game into your school curriculum? Contact us.